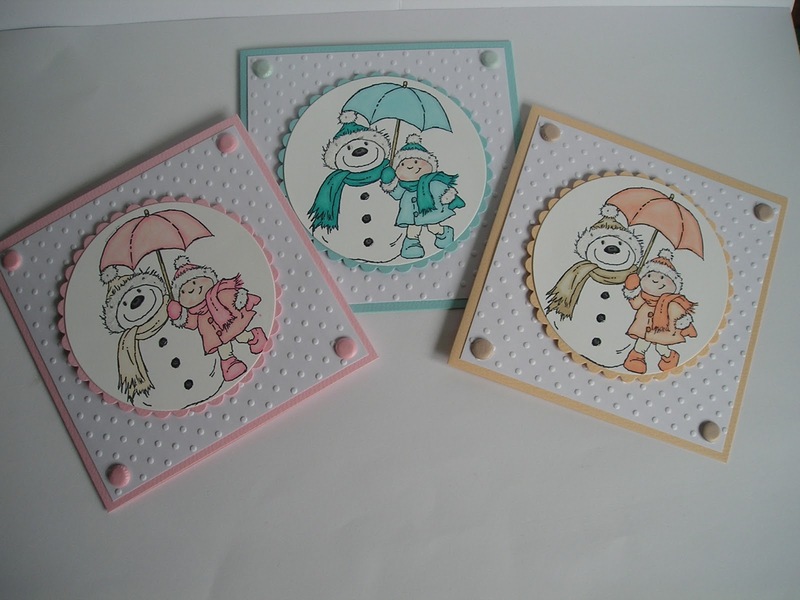 Here is a little set of Christmas cards suitable for young girls. 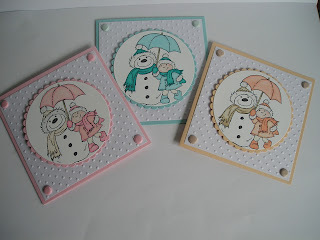 The background has been embossed with a Swiss Dots folder. The gorgeous stamped images have been coloured with promarkers . I then added crystal glaze and flock for texture. A few card candis finishes the cards off. Love these cards - great clean and simple design. Thanks so much for joining us over at the Fab 'n' Funky Challenge Blog. Aww these are so cute! I love the different colour schemes! Very sweet! Lovely image, and an adorable set of cards. Looks very sweet. Thanks for joining us over at PFP last week. A new fun challenge is up by now. These are really sweet Christine, I see you are getting ahead with Christmas this year !! Glad you could play along with us at Little Claires !! This is adorable! Thank you so much for sharing with us at the Sugar Bowl and good luck in the challenge.